Does not contain nano-sized particles. I recommend spending time in the sun regularly, ideally daily. The Sunshine offers substantial health benefits, provided you take a few simple precautions to protect yourself from overexposure. Give your body a chance to produce vitamin D before you apply sunscreen. Expose large amounts of your skin- at least 40 percent of your body to sunlight for short periods daily. Optimizing your vitamin D levels may reduce your risk of many internal cancers, and actually reduces your risk of melanoma as well. Stay out just long enough for your skin to turn the very lightest shade of pink. Shield your face from the sun using a safe sunscreen or hat, as your facial skin is thin and more prone to sun damage, such as premature wrinkling. When you’ll be in the sun for longer periods, cover up with clothing, a hat or shade, either natural or shade you create using an umbrella. A safe sunscreen can be applied after you’ve optimized your skin’s daily vitamin D production, although clothing is your safest option to prevent burning and skin damage. Keep in mind that in order for sunscreen to be effective, you must apply large amounts over all exposed areas of your skin. This means the product should not trigger skin allergies and must provide good protection against UVA and UVB radiation. It also should not be absorbed into your skin, as the most effective sunscreen acts as a topical barrier. 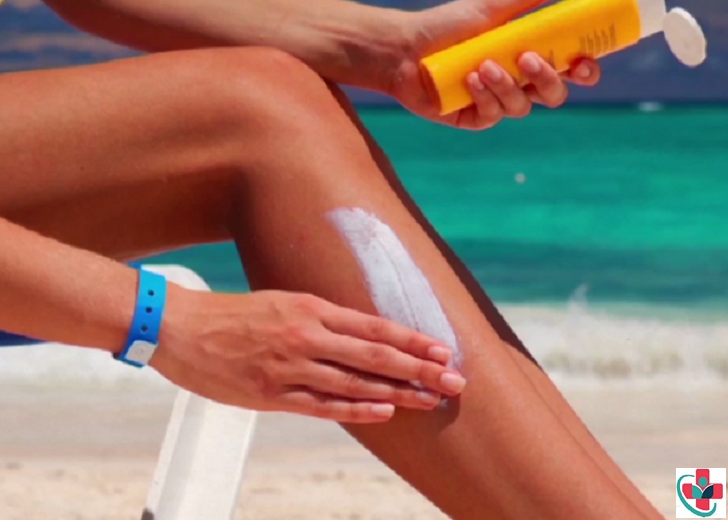 Consider the use of an ‘internal sunscreen’ to gain additional sun protection. Typically, it takes several weeks of daily supplementation to saturate your body’s tissues enough to provide protection. Astaxanthin can also be applied topically, which is why it’s now being incorporated into a number of topical sunscreen products.